The Federal Government will hold a stakeholders’ conference on Financial Fraud, Cyber Crime and Cross-border Crimes on Feb. 2 and Feb. 4. 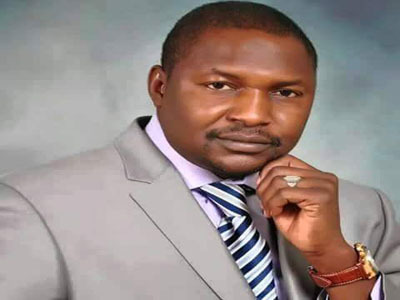 This is contained in a statement signed by Mr. Salihu Isah, Special Adviser on Media and Publicity to the Attorney- General of the Federation, Mr Abubakar Malami, in Abuja on Tuesday. It stated that the maiden conference was aimed at stepping up government’s fight against corruption and corrupt practices. It stated that the conference was an attempt by practitioners, academics and policy makers to review current security trends in Nigeria and globally as it relates to transnational organised crimes. It stated that the conference would also review trends in cyber security threats, terrorism, money laundering and its impact on national security, critical infrastructure and the financial system. “The conference is expected to give participants the opportunity to determine the prevalence and patterns analyse the causes and proffer policy recommendations on tackling security issues that confront the international community and Nigeria. “The cliché that one in every four Africans is a Nigerian is well known. Whatever happens in Nigeria always robs off on other African countries. “Consequently, issues related to the impact of Nigeria’s security challenges on the sub-Saharan Africa will be discussed by experts drawn from various security and intelligence background.